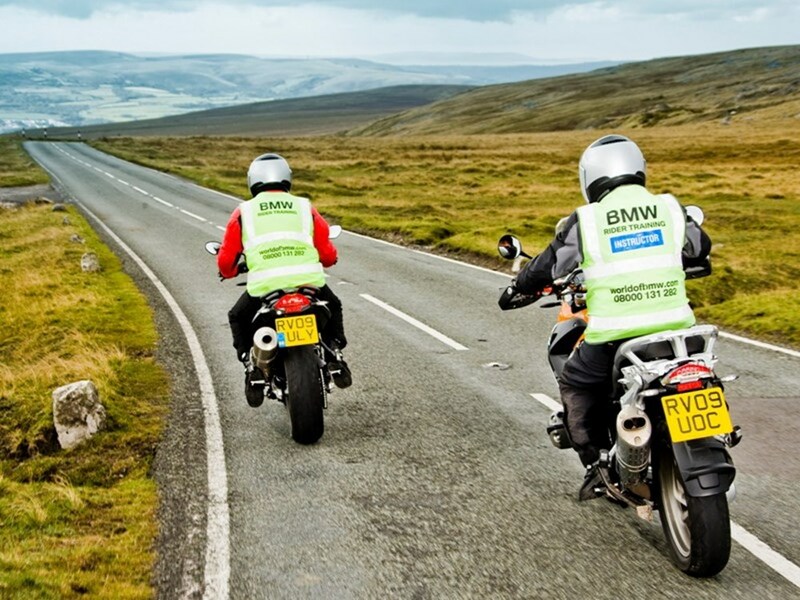 For many new riders, the training they undertake in order to pass the bike test itself will be the last training they ever receive, but there are numerous courses available which will improve your riding. On completion of some of these courses you’ll even get up to a 10% discount on your insurance every year. If you want to improve your skills and lower your insurance premium before the start of the new riding season, you’ll want to go for the IAM course, RoSPA Advance Riders Test, or the government’s own Enhanced Rider Scheme. The IAM course focuses on five phases of advanced riding; information, position, speed, gear and acceleration. The course, called Skills for Life, focuses on building confidence in your own ability so that you can make good progress. Included in the price is the Better Rider’s handbook, one year’s IAM membership and free RAC Roadside and Recovery cover for the first year, which normally costs £106. Our writer Justin Hayzelden met-up with Northumberland Advanced Motorcyclists (NAM) who are a particularly active group where new members (or Associates as they are known pre-test) are encouraged to attend rideouts and classroom sessions as soon as they join. On-road training is carried out on a one-to-one basis with a dedicated observer and on average it takes six rides to reach the required standard. There are weekly classroom sessions for fully-fledged members, and they cover subjects like winter riding, satnav skills, pillion riding as well as various advanced theory sessions. Socially there are two rideouts per month plus a weekend away at the start and end of the touring season. NAM have a close association with Northumberland Blood Bikes with many members going on to join their rank, so not only can you improve your own riding skills but you can help others too. In 2016 NAM received the IAM RoadSmart Group Achievement Award, an accolade based on the quality of training given that makes them the top group in the country. RoSPA’s Advanced Motorcycle Training is based on the ‘System of motorcycle control’ as detailed in Motorcycle Roadcraft – The Police Riders Handbook. The four day course will prepare you for the Advanced Riding Test and aims to make you better at anticipating changes, more observant and with enhanced handling skills. For this scheme, you’ll have an assessed ride with a trainer. If the trainer thinks you don’t require any further training you’ll receive a DVSA certificate of competence straight away. Otherwise, you’ll receive personalised training to improve your riding upto the point where you can receive the certificate. Of course, advanced training doesn’t have to be on the road and wrapped up in hi vis gear. You can opt for off-road or track courses, which while not focusing on road riding, will teach you valuable skills that can be used on the road. Is your bike insurance due? We compare against all the top insurers in one place to give you the cheapest deal possible. See for yourself, get quote now (online or over the phone). Read our next article on motorcycle cover types explained.